"A remarkable album has been published with a number of early, mainly unpublished piano works by Per Nørgård"
"Strong music from an even immature composer"
Niklas Sivelöv during the recording of Per Nørgård’s Sonata in One Movement (1953/56-57). Per Nørgård (b. 1932) actually composed long before he became a composer; or rather, he wrote music – often in collaboration with his elder brother Bent, who wrote texts for small comic strips (Tecnics) which Per drew and set music to. We are at the begin­ning of the 1940s during the German Occupation. Per Nørgård’s musical training had already begun in the Copenhagen Boys’ Choir with Mogens Wöldike as its conductor and with piano lessons. Bach and Beethoven, along with the popular Latin-American dances of the day and European entertainment music, made up the musical baggage that tumbled around in his mind, but of actual compositions – rounded entities – there were none; rather extracts of musical fantasias which rolled around in his unconscious, and sometimes also his conscious, mind like a running tape. ‘Fragments’, you could call them, with the adult Per Nørgård in mind. ‘When will you start finishing things, Per?’ his mother sighed. Per Nørgård did this in the spring of 1949 when he was 16. His six-year-older brother Bent was drafted as a soldier, and making comic strips with music was over. Per Nørgård took a few sheets of music paper and wrote ‘Sonata. P. Nørgård 49’ at the top of page 1. He played some of the sonata for his brother Bent, who said: ‘I think you should finish it’. 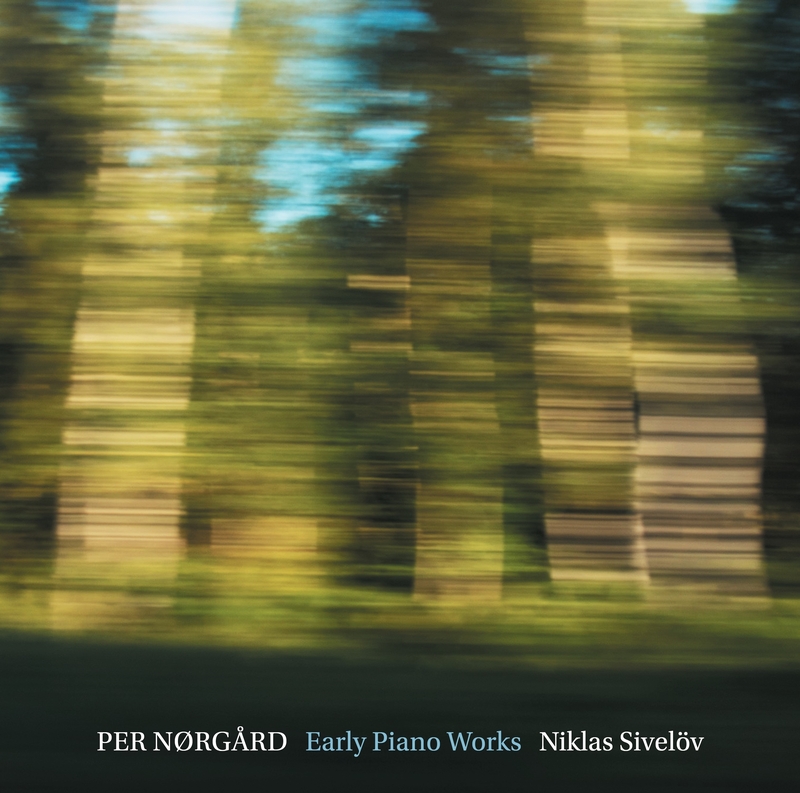 The result was Per Nørgård’s first finished work, Sonata for Piano, which in this recording has been given a new title by the composer himself: Sonata capricciosa – . The things picked up speed. The singing school boy came to the fore in the next work, Gloria in excelsis Deo for two singing voices (Nørgård Bros.) and piano; and his interest in Bach and his counterpoint resulted in two piano works: a Toccata with an inlaid fugue and a concerto for solo piano. On his own initiative Per Nørgård studied classical counterpoint in Knud Jeppesen’s textbook in the Pales­trina style and read Stravinsky’s autobiography. Both gave him an urge to learn more, and a few days after Per Nørgård turned 17 on 13 July 1949 he presented himself to Vagn Holmboe, who was then Denmark’s leading composer in his gene­ration, on his way towards international recognition and a sought-after private teacher, and asked to become his pupil. The work that amazed Holmboe was a ‘Concerto for Solo Piano’ – according to the official list of Nørgård’s works the fourth and last work he composed before the meeting with Holmboe. According to Nørgård the title was ‘inspired by Bach’s Italian Concerto for solo piano’, but we know no more about the concerto, for there is no manuscript for it in the collection of manuscripts that Per Nørgård later gave to the Royal Library. Just one week after the meeting with Holmboe, Nørgård again completed a concerto for solo piano, Miniature Concerto G major, and dated the manuscript 28/7/49. It differs crucially from the earlier works in two respects: a key is indicated, G major, with its related key signature (one sharp) in the first and third movements, and it is in consistent duple time (2/4 in the first two movements, 2/2 in the concluding presto movement). Compared with the two earlier piano pieces this was a welcome innovation, for they were notated in what one could politely call ‘changing keys and time signa­tures’. Key signatures and accidentals alternate unpredictably and sometimes in self-contradictory ways, and the time indications change among 2, 3, 4 and 5 crotchets supplemented with 11/8. The notation is unprofessional and testifies to a composer who is bursting with good ideas but has not learned to write them down so they can be accepted by a professional musical milieu. If the score that Nørgård presented Holmboe with was notated in a similar way, this may explain why Holmboe only accepted Nørgård as a pupil ‘on proba­tion’. He wanted to be sure that this young, original talent would respond to training and made this clear from the outset. One imagines that Nørgård was sent home with instructions to revise his piano concerto and decide on a clear key and time. The result may well have been the Miniature Concerto G major – for which we have the manuscript (Nørgård himself confuses the two concerti in an interview from 2000). It was composed in the course of a week, the manuscript bears the marks of pasting together from several music sheets, and then there is the matter of the key! If Per Nørgård’s earliest piano works – the sonata and toccata from 1949 – indicate no key, but as stated alternate among several keys suggested by changing internal sharps and flats, this is quite simply because they are not in a fixed key. This is not to say that they are ‘atonal’, rather that they are tonally rooted around a centre that radiates out towards all 24 possible keys of the chromatic scale. One must not compose this way according to the textbooks of harmony, but Per Nørgård was not interested in the theory of harmony. Inspired by Stravinsky’s autobiography (where the Russian says that the theory of harmony bored him) he asked Holmboe for instruction in ‘composition and counterpoint’ – the linear forces and their potential for the creation of form were crucial to Nørgård. The harmonies were results of the clashes of parts in the universe of the notes – components of sheets of sound that the young Nørgård liked to prolong by treading all the way down on the pedal and keeping it there when he played the piano. Nørgård’s piano teacher would have none of that, and the corrections in the manuscript of Miniature Concerto G major suggest that Holmboe asked his coming pupil to revise the concerto so that it both begins and ends in an unambi­gu­ous G major. This would have cost him both glue and scissors and perhaps also a few drops of heart’s-blood. But the pupil does what the master demands. Per Nør­gård demonstrated that he was responsive to instruction. After four lessons Per Nørgård’s probation was over, and it was to be decided whether Holmboe would accept him as a pupil. For the next six years Per Nørgård studied with Holmboe, first as a private pupil and from 1952 as a student at the Royal Danish Academy of Music in Copenhagen. Almost 40 works were composed during this time – about half of them pupil’s pieces that Nørgård does not count among his ‘works’; the other, later half academy works with opus numbers. In the present context they are represented by three works: an early Sonata in Four Movements from the years 1949-50 and two late ones – Sonata in One Movement opus 6 composed in 1953 and Trifoglio opus 7 from 1954 – both revised in 1956. Together these works show Per Nørgård at the beginning and end of his student years, and between them comes a series of scores where he expands his instrumental range from the piano to the cello, the singing voice, the strings, the winds and finally the whole orchestra, which comes to full expression in his first symphony, Sinfonia austéra opus 13, composed in 1953-55, his test piece ending his apprenticeship as a composer. The student works are represented on this CD by Sonata in Four Movements, recor­ded for the first time here as Sonata determinata – . One notes the influence of Stravinsky, but in a strange way: externally, it is the middle-period, ‘neoclassical’ Stravinsky who appears with an almost Viennese-classical view of form. Internally – in tonality and rhythm – the early, ‘Russian’ Stravinsky comes to expression. Here the eight-note scale (which underlies Stravinsky’s famous ‘Petrushka chord’) appears in the melodious introduction to the slow second movement, and the tramp­ing chords with unpredic­tably shifting stresses from Le Sacre du printemps typify the first movement. Sibelius was of much more importance than Stravinsky for Per Nørgård’s develop­ment in the 1950s. As early as his high school years he was fascinated by the music of Sibelius – not so much the early, ‘Russian’ symphonies, but the later symphonies and the orchestral work Tapiola. To these one could add Holmboe’s eighth sym­phony, Sinfonia boreale, which was composed while Nørgård was Holmboe’s pupil. Each in its own way points to a distinctively Scandinavian phenomenon, a ‘Nordic sound’ with a background in the ‘Nordic light’ of Scandinavian painting and the Nordic landscape, which Nørgård cultivated on many long canoeing trips in the years 1948-57 along with his cello-playing friend and schoolmate Hans Henriksen. It is difficult to give an adequate theoretical definition or even just an expla­na­tion of the ‘universe of the Northern mind’ as it unfolds in Nørgård’s music of the fifties and in our context in Sonata in One Movement and Trifoglio. But perhaps Per Nørgård’s characterization of Vagn Holmboe’s ‘Nordic’ Sinfonia boreale, one of the Holmboe works that has meant most to him, can come to our aid. He describes it as “grim, Northern Lights-like, ice cold, darkness-and-light, searing contrasts”. Music without mollifying transitions, without reconciliation, representing oppo­si­tions without mediation. In Sibelius’ music it was not least the layering that clearly comes to expression in the rhythm that fascinated Nørgård. We encounter this in his Sonata in One Movement , where the introduction is typified by the Holmboesque searing clashes between contrasting, often overlapping utterances. Then some way further on we meet the rhythmic layers of Sibelius: from about 5’30’’ for a minute we hear that the rhythm has been staggered between the left hand which repeats regular thirds and the right hand which deve­lops a thematic melody. It sound as if the emphases in the left hand ‘come too late’, but what we are hearing is two different layers of stresses which together create a hovering, almost neutralized sense of time. 1955 was a watershed year in Per Nørgård’s development; he left the Academy with an excellent degree. He celebrated a big wedding with Annelise, where Meta and Vagn Holmboe were among the guests and in that context revealed to Nørgård’s parents that their son, according to the Academy’s teacher and professor of many years, Finn Høffding, was “one of the best students the Academy has trained”. He made his debut as a composer in January 1956. And the newly-wed Nørgårds trav­elled to Paris, where Per Nørgård, thanks to grants and recommendations from Holmboe, studied with the famous composition teacher Nadia Boulanger at the American Conservatory in Fontainebleau. Artistically, the stay there was not a success. Per Nørgård was so firmly rooted in his universe of the Northern mind that he neglected the opportunity to attend Messiaen’s analytical lesson at the Paris Conservatoire, and did not benefit greatly from Pierre Boulez’ epochal Domaine musical concerts. To boot, Nadia Boulanger told him that he had “a narrow horizon”. But she reigned supreme when it came to finding technical flaws and inadequacies in the music of her students, and her in-depth critiques boosted Per Nørgård’s composition technique. A few years later Per Nørgård conceded that Nadia Boulanger (like the other critics of his universe of the Northern mind) was right, and returned to his own roots, to the fragments from the tecnics of his childhood. But the farewell to the northern lights of Sibelius and Holmboe that Nadia Boulanger heard in Trifoglio is still very moving. Jens Brincker (b. 1937) is a former associate professor at the dept. of Musicology at University of Copenhagen and critic at the Danish daily Berlingske.